It is sometimes hard to think that concrete has environmentally sustainable benefits in the construction industry. However, the ever popular building material does have a few durable properties. Unlike other materials used in the construction sector, concrete won’t rust, rot or even burn like metal or wood will. Not only is it resilient and hard wearing, but it will take a lot to damage it. The other materials will eventually fall out of service meaning they will need to be replaced eventually, concrete won’t, thus saving resources and the productions/fabrication of other replacements. Concrete is also very durable when it comes to unfavourable, wet weather. A solid concrete wall, roof or floor base won’t leak over long periods, meaning less impact on buildings over time in areas of harsh weather conditions. Unlike wood or sheet metal, a solid concrete wall and roof will keep heat in, and the cold out meaning in facilities that are constructed with concrete will be more environmentally friendly, with less money and resources being spent to heat rooms. Once a concrete structure is at the end of its lifecycle the concrete used in the structure can be recycled. Concrete can be crushed and developed into a recycled aggregate for many different construction purposes. This further helps the development of a recycled alternative and further reduces the waste that would eventually end up in a landfill. 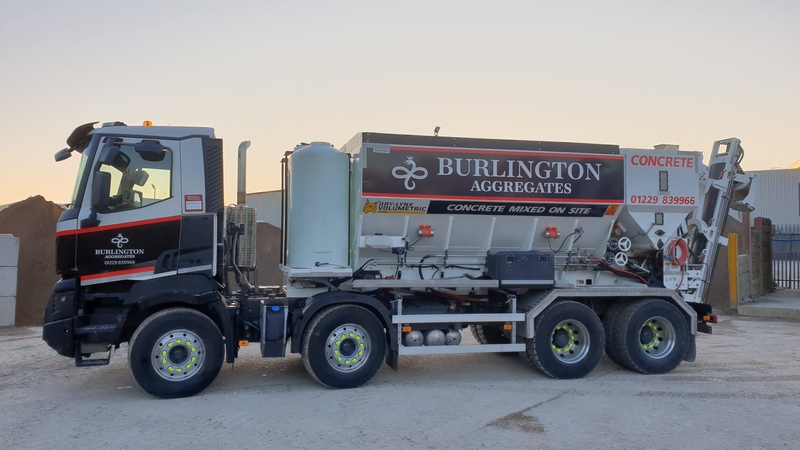 Due to the investment in volumix concrete mixers, Burlington Aggregates are now able to mix on the road meaning a quicker more efficient delivery method. We can also mix multiple mixes on site, eliminating the need to drive to a fourth from our facility for every mix. To discuss your concrete requirements with a member of the team from Burlington Aggregates contact us today or view our concrete section for more information.